You are here: Home / Blog / Wine with Winston / It’s Harvest Time! Oh boy, oh boy, we are right in the midst of my newest favorite time of the year: harvesting season! We might not have many vines that are producing grape bunches right now, but Mom and I have been practicing checking for all the signs of ripeness. With all of this practice, we are going to be top dogs at deciding when to pick next year! The stems have turned brown. The grapes have an even color appropriate for that variety. The grapes are completely filled out and plump (and really easy to pull from their bunch). No part of the grape is bitter, even the skin. The seeds are easy to chew – and have also turned brown! Varietal characteristics can be identified if the taster is highly skilled. It’s not all about looks and taste, though. There are two very important factors for winemakers to consider: sugar and acid levels! You learned in my first blog about the refractometer used to measure the sweetness of grapes. Testing the acidity levels of grapes is just as easy: we crush the grapes and then measure the acidity of the juice using a pH scale. 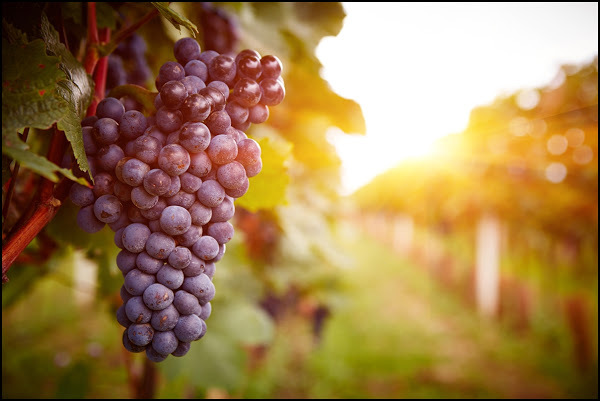 Once the grapes are at the just right stage of ripening, they need to be picked as soon as possible. 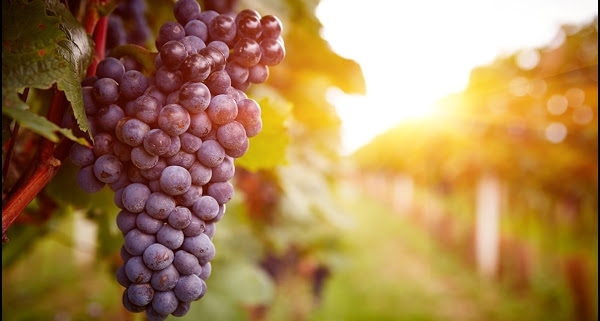 It is always better to pick on a nice sunny day when the sugar levels will be highest, but it is most important that the grapes are harvested before they are damaged by animals eating them or heavy rain and winds. All of our grapes will ripen at a different pace- depending on their type and growing conditions – so we are going to need to keep a very close watch on all of our grapes when we have our first harvest next year!